heating and hot-water solutions you’ll never be left out in the cold. 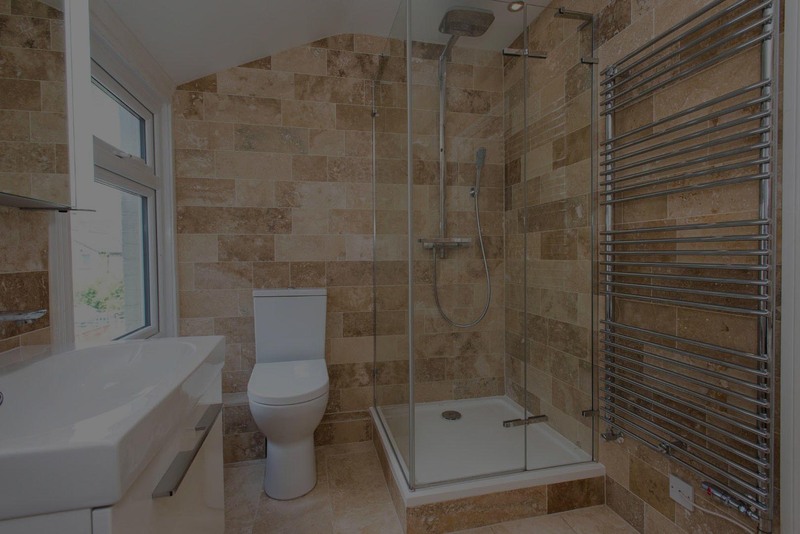 We are a family run business providing high-quality plumbing services for homes and businesses across London and North-West Kent. 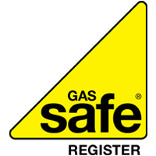 We are Gas Safe registered plumbers (reg no. 199604) who have been providing reliable heating, plumbing and bathroom-fitting services across London and North-West Kent for decades. We take great pride in our work, and believe that we offer a service that is unrivalled in our area. 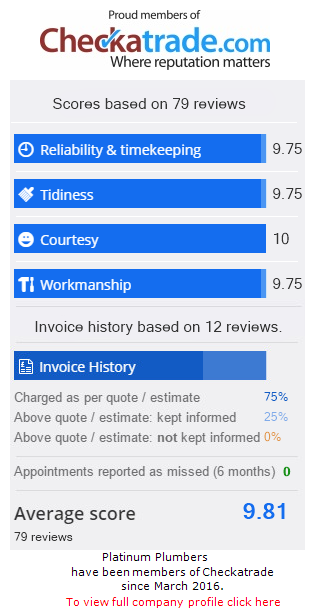 We offer an end-to-end service from design and installation, to repairs then ongoing maintenance, and our focus is customer satisfaction every time – this is reflected in our feedback on Checkatrade and Which Trusted Trader. Our goal is that once you’ve engaged our services, you will be happy to recommend us to your friends and family. quotation on 020 8855 0361 – advice is always free. Not all plumbers are the same. 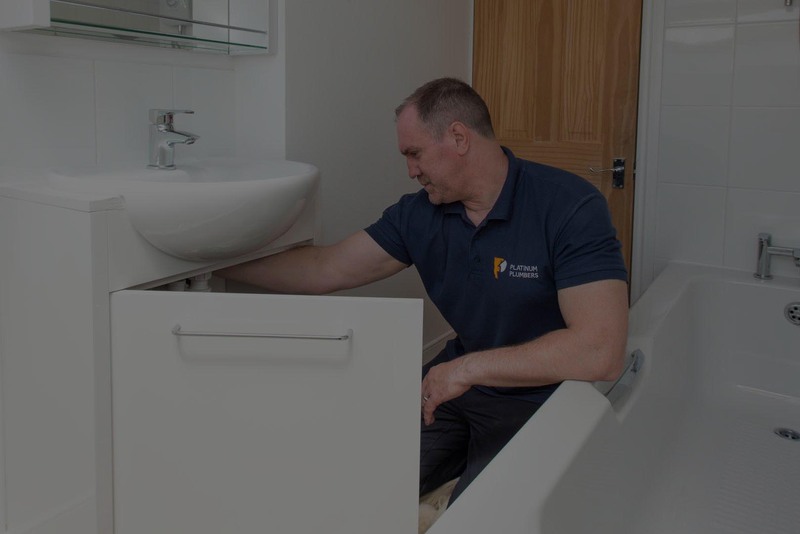 We’ve established a solid reputation for quality, depth of knowledge and professionalism since we were formed in 1998, and understand that our customers want plumbing and heating specialists they can trust. That’s why we employ people who take as much pride in our customers’ homes as they do their own. Investing in our staff is important to us – all of our plumbers hold either NVQ or City & Guilds qualifications, or our apprentices are working towards them. We ensure they are also trained in the values of our business from day one. And whilst other companies might offer quick fixes to keep costs low, we recognise the importance of finding – and providing – long-term solutions for you and your home. or fill in our simple contact form to receive a free, no-obligation quote. Heating and plumbing specialists – 19 years’ experience. © by Platinum Plumbers. Platinum Plumbers is a trading name of JBS services LTD. Company Registration Number: 3881472. All rights reserved.